Guidelines for discussion leaders for AMST310, The American Economy in Literature. 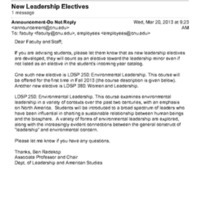 An email noting that there are new leadership electives that can be used for the Leadership minor. 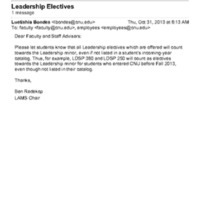 An email announcing that all leadership electives count towards the Leadership Minor.